I am near tears. I'm near tears, I need catharsis, and so I write. I just got off the phone with the oral surgeon's office. Ok, wait, let me back up. Sorry. "This kid is a flingin'-flangin' ROCK STAR! X-rays - no sweat. Polishing and exam - check. A little tartar scrapage - like water off a duck's back. It was a fantastic first experience for him and we couldn't have been more thrilled. "The dentist slathered his teeth with fluoride without asking or telling me what they were about to do. My son didn't like the way it tasted, so when I went to wipe it off, the doctor said, "Oh, that's fluoride. It's designed not to come off." Nice of her to give me the option. I was pissed. No, I don't think that amount is going to harm him, but we don't do fluoride in our home and I will know for next time to tell them not to do it at the dentist's office, either. "The scary news is that he has a mesiodens (extra tooth) growing upside down between his two front upper adult teeth. We have to schedule a consultation with the oral surgeon next. Unless there is some sort of pressing reason to really move on this, we'll be putting off the actual surgery until the last possible moment. 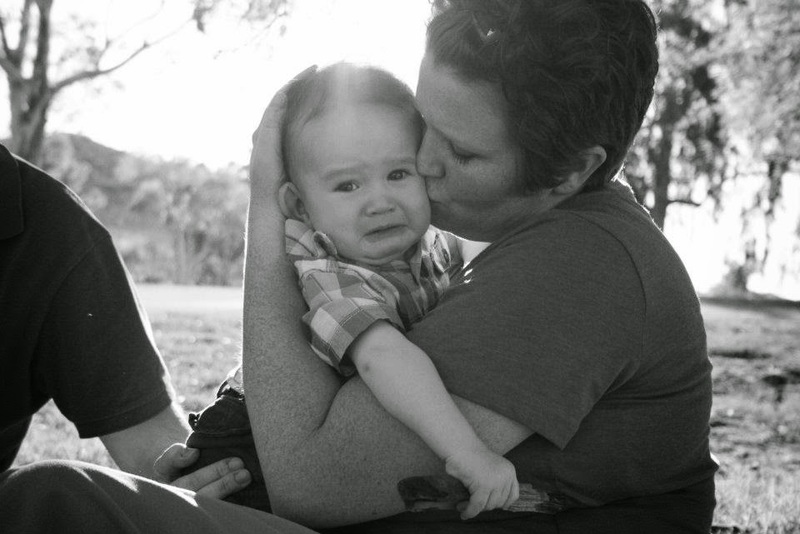 Thinking of our son being afraid and in pain has our stomachs in knots. "Overall, this kid is rad. That is all." Yes, he has an inverted extra tooth growing up into his palate. Without extraction, it'll cause orthodontic problems and continue moving upward. When it comes to the body of my son, I don't mess with things unless there is cause. There is cause. I feel sick. My son is going to be afraid and in pain and there's not a thing I can do about it. My job is to protect him from pain and fear. I can't do my job and it's killing me. Helplessness when it comes to my son (really, any helplessness, if I'm being honest), is not the business. So, I just got off the phone with the oral surgeon's office. We were referred to them, because our son's dentist only does "easy" mesiodens extractions and this is a complicated case based on its placement. The surgeon's receptionist said we'll likely have to get a CT scan pre-surgery. Even the thought of the CT freaks me out. He's going to be afraid. He's going to be scared and alone, the alone will exacerbate the fear, and there's not a damn thing I'll be able to do to assuage my little boy. We were so excited when he had such a great experience at the dentist, because that's the precedent we wanted to set for him. We didn't want to set him up for a lifetime of fear and avoidance, especially where his health is concerned. Now, it's all down the tubes. Now, one of his first experiences is going to be one of intense fear, confusion, and pain. The thought of him feeling these things is enough to break me down. The plan is to wait. We'll wait as long as possible before putting him through this ugliness. We'll go to the consultation in a couple weeks and ask for a timeline of when the doctor thinks we need this done and then we'll put it off until the far end of that timeline. This will be done when it is necessary, not optional. The longer we can wait, the older he can be, the more he can understand, the better for him. Of course, that means we have longer to fret, but I'll take fret over the other any day. If only I could take away the impending trauma. It's my job to prevent the trauma. Have you been through this with one of your babes? Soothe me.